Properties in Georgia average 4.7 out of 5 stars. YOU WILL FEEL AT HOME!!! CHARMING! CLOSE TO BEACH! HIGHLY RECOMMENDED!! Video! Property 5: YOU WILL FEEL AT HOME!!! CHARMING! CLOSE TO BEACH! HIGHLY RECOMMENDED!! Video! Beach Walk - FREE BIKES - Walk 2 Pier Village, shops, and restaurants! Property 15: Beach Walk - FREE BIKES - Walk 2 Pier Village, shops, and restaurants! AFFORDABLE LUXURY!!! MINUTES FROM THE BEACH! BIKES INCLUDED!! Video! Property 22: AFFORDABLE LUXURY!!! MINUTES FROM THE BEACH! BIKES INCLUDED!! Video! NEW!! Charming Condo within walking distance to restaurants & shops w/ POOL! Property 24: NEW!! Charming Condo within walking distance to restaurants & shops w/ POOL! Pool, Pets and Privacy! Just 4 mins to PineWood Studios. Property 25: Pool, Pets and Privacy! Just 4 mins to PineWood Studios. Newly renovated! Pool and beach just outside your condo! Property 26: Newly renovated! Pool and beach just outside your condo! PELICAN VIEW - Sea Palms Golf Resort Spectular View of Golf Course and Lagoon! Property 28: PELICAN VIEW - Sea Palms Golf Resort Spectular View of Golf Course and Lagoon! Ellis Square Place--City Market Central--King Bed! Property 29: Ellis Square Place--City Market Central--King Bed! 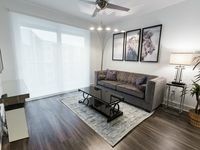 Great Downtown Condo With Pool! Property 30: Great Downtown Condo With Pool! "BREATHLESS" - Lovely one bdrm. Chattahoochee Riverfront. Easy walk to Helen. Property 31: "BREATHLESS" - Lovely one bdrm. Chattahoochee Riverfront. Easy walk to Helen. Spring Break! Walk or ride bikes to the village & restaurants at the pier. Property 32: Spring Break! Walk or ride bikes to the village & restaurants at the pier. Spacious condo w/ balcony, partial lake views & shared pool - near beach/marina! Property 36: Spacious condo w/ balcony, partial lake views & shared pool - near beach/marina! Stay with Lucky Savannah: Garden home on Jones Street across from Clary's! Property 38: Stay with Lucky Savannah: Garden home on Jones Street across from Clary's! Stay with Lucky Savannah: Beautiful home w/ parking, sun porch, King beds! Property 39: Stay with Lucky Savannah: Beautiful home w/ parking, sun porch, King beds! Stay with Lucky Savannah: Private Parking for 2 Cars on Liberty Street! 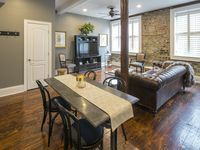 Property 43: Stay with Lucky Savannah: Private Parking for 2 Cars on Liberty Street! PRIVATE RETREAT WITH EXOTIC SPA IN THE CITY-NOT ANOTHER LIKE IT IN ATLANTA! Property 45: PRIVATE RETREAT WITH EXOTIC SPA IN THE CITY-NOT ANOTHER LIKE IT IN ATLANTA! Family & Fido Friendly beautiful condo close to everything! Property 49: Family & Fido Friendly beautiful condo close to everything! We had a wonderful time at 49 Barnard. The lodging was way beyond our expectations. We were so close to all the downtown attractions. I should be ashamed to say that we ate all our meals out, but I&rsquo;m NOT!!! We tried a new place every night and spent many hours walking to the different squares and seeing several museums. Your accomadations felt so much like coming home in the evening. Let&rsquo;s just say &ldquo;HOME AWAY FROM HOME&rdquo;. We had a fantastic experience at Anthem. Location, location, location!!! We were in the heat of Atlanta located next to everything. The Ponce City Market, local restaurants, pubs, shopping and the beltline. The pool area and clubhouse were great, parking and security were also great. We had a wonderful time in Atlanta and we would definitely stay here again.